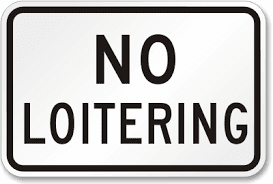 Uptown Chicago Commission has let us know that there will be no positive loitering at Racine and Wilson this evening. "Can you please inform your readers that we won't be having our regular Friday Night Positive Loitering on Wilson for September 9? Several things have come up to force this decision. We have informed the 19th District officers that we won't be there. We invite our regulars to enjoy your evening at home or wherever life takes you! We will be out there again next Friday at 6pm and hope to see a big crowd then."